(Season 1): DEEP. 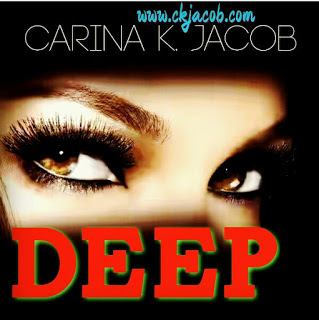 Episode 8 ~ CK Jacob: Nigerian Fiction And Lifestyle Blog. Adebiyi went straight to his room, pulled off his clothes, freshened up and relaxed on the bed. He was tempted to burst into Popoola’s room, grip his shirt and confront him of what he did but reconsidered. He knew his friend cared for him and had been through a lot with the death of his wife and accusing him of telling Tiwa about his parents would tear his heart apart. Popoola was the brother he never had. He wouldn’t do anything to jeopardize their friendship. He smiled as he thought of her. If she left, he was going to miss her company, ravishing smile and especially her sharp tongue. Although was she said was the truth, Mrs. Aisha reminded him of his mother, not only the victim’s mother but women that had also crossed his path. The reason he felt Tiwa was different was her willingness and the determination to succeed in unraveling the murder case. He was not only telling her to go, it was an opportunity to take her out of danger. He wanted to protect her from the heart-taker evil eyes. She was not only an agent to him anymore but also someone he felt was special. The moment he thought of the money she was going to receive, something in him changed. Tiwa was like the woman that gave birth to him. They loved money and not the feelings of people in their lives. He checked the wall clock. It was 10pm on the dot. He took his phone and dialed Mr. Bankole’s number. “Is everything alright?” He asked immediately he answered Adebiyi’s call. He was on his bed with his wife. She was already asleep. “Thank you Mr. Gold and have a goodnight.” He ended the call. Tiwa gulped some whiskey, surveyed the place before deporting to her room. She was going to miss everyone including Adebiyi. She wasn’t happy at all. All she did was crawl on her bed, and wrapped herself with a white blanket. She wanted to call her mom but it was of no use. No one, nothing could change the way she felt. Adebiyi had already made up his mind and it would be difficult to persuade him to allow her stay and finish what she started with him. The following day, Tiwa woke up early, arranged her belongings and had her bath at 8:15am. She wore a black trouser, a white bra and was about taking her jacket from the bed to cover up when she heard a hard knock on the bed. Adebiyi entered and his eyes were stunned. She was shocked to see him. “I’m sorry,” he quickly said and closed the door. His heartbeat pounced harder than the normal rate at the thought of what he saw. Her body was sparkling and she was a gorgeous goddess. She put on her sleeve rapidly and informed him to enter. He looked around and noticed she was ready to travel and leave him. He might never see her again and the mere thought of it frightened him. She watched him move and sat on the chair close to the dressing table. She remained quiet and waited for him to say something that would brighten her day. “Am I one of them?” Tiwa asked with her innocent eyes staring back at him. She told him about her brother. The smile that plastered on Tiwa’s face was huge. She shook his hands. “I am Tiwatope Bankole. Yes, we can be friends.” Both of them laughed. “He said she is getting better. I will find time and pay her a surprise visit. 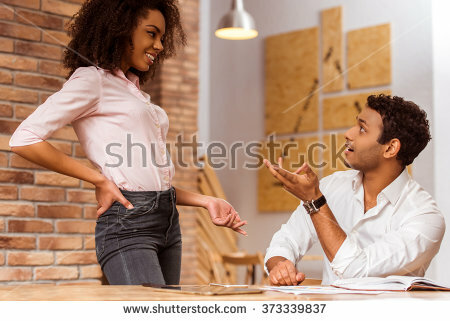 The last time I saw her was the period I wanted to meet at least a family member of all my employees and that was four years ago.” He locked the door and gate. Tiwa went outside with Adebiyi and joined the driver inside the G-wagon. “I haven’t seen the guy I saw you with at the supermarket last year.” Tiwa said. “He is not gay!” she uttered and started to cry. Her ears were stunned. She opened her eyes, and tears rained down her face. “I… I am sorry my love.” He said and wanted to touch her but she shifted backwards. Mr. Bankole didn’t say a word to her. He granted his wife’s request. Tiwa and Adebiyi looked at each other shocked when they found the entrance of Monday’s office locked with two padlocks. A man working in the same building in another office informed them the agent dropped a message he was travelling for a while with his family. “When did he leave?” Tiwa asked him. “You mean she left here few minutes ago?” Adebiyi inquired. She agreed, they thanked the man and rushed out to search for the secretary. They didn’t see anyone that fit her description. They decided to ask the security man if he knew the direction she went. When they approached him, they could hear a female crying inside the small security station. Tiwa peeped through the small window and saw the secretary. She called her out, and she recognized her and obliged. “And please wipe your tears.” Tiwa told her. She cleaned her face and followed the two of them. They stood beside the vehicle. “Were you sacked?” Adebiyi asked. “Unbelievable. No wonder he sacked me. Is the killer coming for me?” They could tell her eyes were scared to death. Adebiyi gave her some money before they left to Halima’s residence. Halima was devastated and appeared to be grieving the loss of her friend. They questioned her but she was very emotional to say anything. It was until Tiwa mentioned she could be a target because of her tribe. “She never mentioned his name?” Adebiyi asked quickly. “What about the cook and the bouncers?” Tiwa asked her. Adebiyi and Tiwa ate in a fast food. After they were through, she requested she wanted to be alone. She insisted Adebiyi should leave with his driver and she would find her way back home. He agreed and left. She strolled to a quiet place, sat down, and thought about the victims and the next step to take. After a while, she spoke with her dad and he informed her he was travelling to United Kingdom for a conference. After the call, Tiwa was going through her iPad when a little boy ran to meet her and gave her a chocolate with a card. She was skeptical about it and asked the boy who gave it to him. “A man.” the little boy said. “I don’t know. He was wearing a face cap.” The boy said and told her he wanted to find his mother. She advised him never to take anything from a stranger or talk to a man he had never met before. She let him go. She threw the chocolate and card away without reading the contents of the card. She took a taxi home, entered the house and saw Donald quarrelling with Mimi beside the house. He stopped talking when he saw Tiwa looking at their direction. They greeted her and she answered with only a weak smile. Adebiyi had already ordered for lunch and dinner. The next day, Tiwa persuaded them not to eat in a restaurant. She sent Mimi to the market to buy food items and she cooked alone happily in the kitchen. 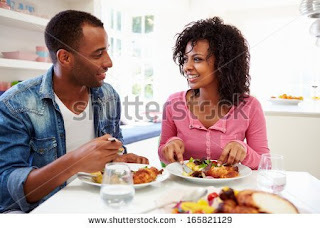 Adebiyi was impressed and Popoola praised her delicious food. Later in the day, she called Joyce and inquired of the names. She sent her three names, Hauwa Mustapha, Linda Yakubu, and Nkem Iheme. She promised to get back to her as soon as she remembered more names. Joyce explained she could not find her jotter. In the afternoon, Tiwa was looking outside the window, surveying everywhere and admiring Mother Nature. She looked down at the swimming pool and she gasped. Adebiyi was shirtless. He was inside the pool and drinking a glass of champagne. Her eyes were glued to his body and she could not define the excitement that flowed inside her by watching him. She bit her lower lip and desired to be touched. She could not stop. She craved for his arms around her and undesired to have him on top of her at the same time. Adebiyi took one more sip, stared at the window and caught her eyes. Her breath ceased. She speedily moved backwards, touched her chest and turned. She saw Donald staring at her. She was startled. “How long have you been standing there? !” She asked in an angered tone. He smiled so wide, Tiwa feared his lips would rip off. Donald walked away. Her instinct told her it was more than that. She was sure she overheard him telling her to quit her job and she was no longer safe. Even if she asked him what he meant by that, he would probably not tell her the truth. She was going to find out herself. Even if he wasn’t the killer, she knew something was going on with him. After dinner, the three of them went to the veranda to relax. Tiwa sat beside Popoola. She tried to fight the desire of craving for Adebiyi to be by her side. She purposely chose not to get close to him. He was too much for her to handle.The chocolate and card still bothered her. She paid no attention to what they were contemplating about and had no choice but to spill what troubled her mind. “It could be a secret admirer that wants you.” Popoola said. The two men gazed at her speechless. Adebiyi stared at her without uttering a word. He was tongue-tied to express how he felt at that moment. “And you think he might be the one?” Adebiyi asked in a concerned tone. Adebiyi rose. “I am tired too. We should all go to bed.” The three of them left to their rooms. Tiwa had a cold bath, relaxed on the bed and called her mom’s number. “I have been expecting your call.” A male deep voice said. “Please!! Don’t do it! Damon!” The line went dead. “Hello?” She looked at her phone and found he had already ended the call. She dialed the number twice and it was switched off. “Oh my God!! The darkness of terror consumed her deeply. All her life, she never wanted anyone’s help. Everything she did was on her terms. This was different. She felt empty, hopeless and helpless. Her mother was in great danger. She needed someone’s help and the only person’s name that paraded her mind was Adebiyi. She suddenly felt he could be the only one that could make the fear in her disappear. Tears were all over her face. Tiwa rushed out of the room, running down the hall and heading towards his room. Adebiyi heard his name from a distance. He thought he was having a nightmare until he heard someone banging on his door. “Tiwa!” he uttered when he heard her frightened voice calling out for him. He left his bed in a hurry and opened the door. He saw Tiwa and for the first time in his life, the true definition of fear flowed through his body. Oh! ok Damon.So its you. I might be wrong anyway. WOW! Interesting and getting more scary. Damon and the heart taker are two different people, right? Saturday is far! Suspense queen!! From which fresh hell did this demon abi Damon creep out from? This is some scary twist to the story ooo! I just hope they will be able to reach Mrs. Banks before it's too late.